Of course enjoying an authentic pizza in Italy is high up on your list! It is on all of ours! But there are a few things you may not know about what counts as a true Italian pizza. Naples invented pizza. In the 1700’s, bread topped with garlic, butter and salt was a popular snack. But pizza in Italy as we know it didn’t arrive until the next century. Nobody knows when, but we do know fisherman ate baked dough with tomato puree and herbs – the pizza marinara (which means seafaring). Then in 1889, pizzaiuolo (pizza maker) Raffaele Esposito created pizza Margherita to honour Queen Margherita of Savoy. The basil, mozzarella and tomatoes represent the Italian flag. Finally, in 2017, UNESCO granted Neapolitan pizza making World Heritage status. 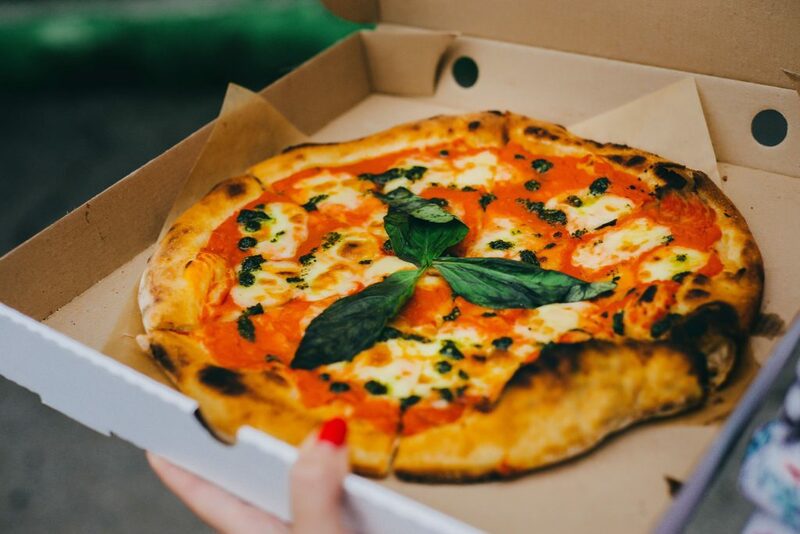 There are actually only 2 types of authentic Neapolitan pizza: Margherita and marinara. You’ll find other flavours all over Italy, but these can’t be considered Neapolitan. The tomatoes must be San Marzano, and the mozarella must be either di Bufala or fior di latte. Traditional pizzaiuoli toss the dough to oxygenate it. The dough must be made with type 0 or 00 wheat flour, and formed by hand (no rolling pins!). Additionally, all pizzas must be baked for 60 seconds in a traditional oven at 426°C (800°F). This means the crust inflates and chars around the delectable melange cheese and tomato sauce. Pizzeria Brandi is the home of the Margherita pizza, so you know you’re eating the real deal! Italian experts and journalists hail l’Antica as the ‘Sacred Temple of Pizzas’.